No doubt many will see some irony in starting a statement about the removal of information with “Based on our commitment to being transparent”. That said, it is not yet clear if reports are being removed permanently or simply temporarily removed until they have been assessed for privacy issues. Though the previously public information will still be available through FOIA requests, the statement concludes by saying “If the same records are frequently requested via the Freedom of Information Act (FOIA) process, APHIS may post the appropriately redacted versions to its website”. Speaking of Research also has concerns. We believe the availability of data can foster an environment of openness and transparency about animal research. When information is hidden, particularly where it was once available, the public will naturally wonder why many stakeholders have cause for concern: the public wonders what is being hidden and why, and researchers must devote even more resources to combatting the public perception that they are not transparent. 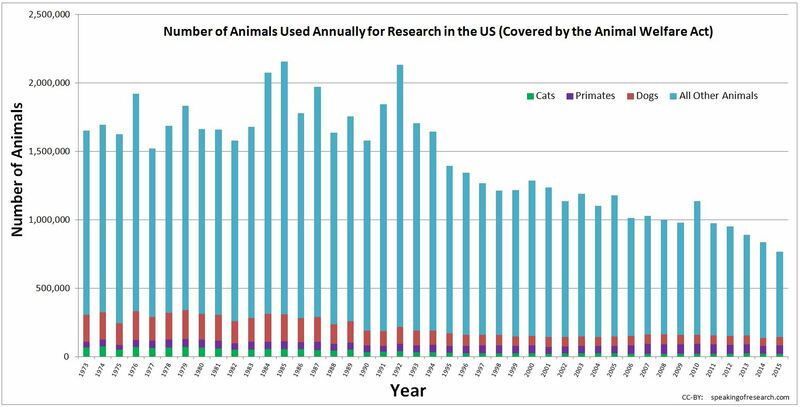 Speaking of Research uses the type of information that was available to help explain the realities of animal research to the public and media. The USDA’s decision is also out of step with the direction of travel of many other countries. Approximately one month ago, after urgings from Speaking of Research, the EU website added a new page providing links to the annual statistical reports on animal research of member countries. In our own commitment to openness, Speaking of Research has uploaded the Annual Reports of the USDA’s animal research to its website. They are available on our US Statistics page, or can be found below. We will be looking at what other information we can practically add in coming weeks. Thousands of removed USDA documents have now been archived here. Posted on February 7, 2017 February 10, 2017 by EditorPosted in News, Outreach News, SR News, StatisticsTagged animal welfare, FOIA, information, USDA. The USDA removed the inspection reports to protect those who violate the AWA. No one is buying their nonsense about protecting “personal information.” Unless the USDA now considers the name of a facility and its address “personal information.” The fact that the USDA thought people would buy their baloney shows just how out of touch they are with the real world. If they are smart, they will restore the info right away. If not, they will have to answer to members of congress and perhaps a judge. Michael, I’m sure you could aid the transparency front by posting the multitude of documents you have procured from USDA…ALL of them, including the vast majority of those that show no violations in animal welfare! Why don’t you, aid the transparency front by giving a tour of your laboratory? BTW, you think no violations means animals aren’t suffering and dying? Get real. Or better yet get a job with the crooked USDA; you would fit in there perfectly. Giving a tour of a laboratory would hardly satisfy someone opposed to laboratories. And giving a tour to someone who thinks that having any animal in captivity is unlikely to have any impact on their view. Nor is it likely that any standards, laws, or oversight is going to address the concerns of someone opposed to animals in research. The question of whether animals should be in research at all is one question. Their care, the oversight of that care, and the public transparency of both is the next question. So GW, what is your position on the first question? AME, I think that transparency would be best aided if all of the laboratories posted all of their USDA documents on their own websites. This would lead to more complete transparency because our current collection of USDA records is relatively limited. Michael, why is your collection limited? From your various statements it sounds like you’ve been faithfully collecting many and tracking all of the different facilities. Is that not true? If not, why? The USDA’s reports and records serve many valuable purposes, including demonstrating that there is federal oversight of a broad range of animal facilities, a well-developed inspection process, and a way for the agency to communicate to the public. Factual and accurate understanding of the federal regulations and the federal process for oversight is important. Unfortunately, the USDA’s records and processes can also easily be misrepresented by selective use and by failing to provide context. For example, the USDA’s Annual Report of Research Facilities (7023s) and Inspection Reports have long been used by some as a means to misinform the public and to promote a political agenda that has little or nothing to do with genuine animal welfare as it relates to advancing public health. Since the USDA’s announcement some media outlets have referred to these documents as “animal-abuse records” demonstrating how poorly they understand and communicate to the public the content and purpose of the information. Hopefully the USDA will strike a balance between the public’s right to know and the appropriate timeframe and format in which to release the information. And we as scientist, veterinarians, animal care givers, etc. can do a better job of working with the public and the media in putting the information into the proper context. This could well turn out to be an example of throwing the baby out with the bathwater. For the first time I can remember, I find that SAEN (Stop Animal Exploitation NOW!) is in agreement with Speaking of Research regarding the removal of information from the USDA’s website. The USDA”s actions are definitely a step backward in terms of transparency, which can only give rise to suspicion.